Grupa Topex is a Polish tool manufacturer. This month, it launched a new corporate identity and also introduced new visual identities for two of its largest brand, Topex and Neo Tools. All three identities were created by the Warsaw office of Dragon Rouge. For Topex, Dragon Rouge created a T-shield and made the yellow colour associated with the brand brighter. Neo has a polished metallic look. The new corporate logo is said to represent "solidity, maturity and competence". It is characterised by a red "pointer" that can also be used separately. CZ.NIC is the organisation that administers the top level domain name for the Czech Republic, .cz. Yesterday, September 26, 2012, it launched a visual identity system, created by the Czech agency Dynamo design. The previous logo was introduced in 2006, and the organisation had over time found it not to be sufficiently versatile. With a red dot as a unifying feature, the organisation and the domain name now have separate logos in the national colours. Direct 8 and Direct Star are two French national TV channels, launched in 2005 as apart of the new digital network. Direct 8 was originally devoted to live programming, but eventually expanded into a broader general channel, while Direct Star is a youth channel with plenty of music videos. Recently, both channels were purchased by Canal+, who are relaunching them on October 7 under the names D8 and D17. D8 will be completely overhauled with the programme budget more than doubled and most of the current programmes being cancelled. A simple flat version of D8's logo, a D with an eight inside it, surfaced in early September. As the relaunch date was set, more materials have been made public, including a logo with 3D treatment, a press dossier and a launch spot. The result is similar the "Start Here" package produced for ABC in the United States by Troika Design Group back in 2007. Very similar. Other than the fact the the D8 logo isn't designed by Paul Rand, many of the core elements from ABC's 2007 graphics package have been transitioned to D8. From the 3D treatment of the logo with its reflections and gradients to the virtual environment it inhabits. Even the relaunch promo looks a lot like US network promos of recent years. Update September 28: Incidentally, Troika was also the agency that designed the new D8 package. Two more idents can be viewed here. (Thanks to Arthur for pointing that out). Grupo ASSA is a Latin American outsourcing and consulting company, head quartered in Argentina with activities in Mexico and Brazil. In August, it launched a new corporate identity, credited to Pentagram in London. The new logo is created from the initials G and A in two different type styles to represent "amateur passion and professional excellence". In its communication, the company makes an effort to spell its name as it is in the logo, with lower case G and an upper case A.
M-Tel (short for MobilTel) is the largest mobile telecommunications company in Bulgaria. Yesterday, on September 24, it unveiled a new corporate identity, created by Saffron Brand Consultants, who have previously M-Tel Austrian sister company A1. The new three-dimensional symbol is ribbon tied into an M, that can also be interpreted as water or sound waves. It is launched with a message about a company that is more attentive to the needs of its costumers. Sky Radio is a Dutch national radio network, with a mainstream adult contemporary format consisting of hits from the 80s until today. Last week it introduced a new logo as part of a major marketing campaign with the theme "Stay in the flow". Dutch branding agency VBAT developed the new logo. Bilbao is the tenth-largest city in Spain, and the largest city in the Basque Country and the capital of the Biscay province in northern Spain. Most of us are probably most familiar with its Guggenheim Museum. Last week, a new mark was unveiled that will market Bilbao and the province of Biscay (known as Bizkaia in Basque) internationally. The new mark was selected through a contest organised by the Bizkaia Provincial Council and the Bilbao Town. Out of 84 submissions, ten were selected by a jury and put on display for the public to assess and vote for them. The jury then made the final decision and unveiled it last Friday, September 21. The winning entry was created by Ros y Etcétera, who were paid €30,000 for their effort. The ten finalists can be seen below. As you'll discover, there was a generally quite high standard for a logo competition. Butagaz is a French distributor of butane and propane gas, owned by Shell. Last week, on September 20, it unveiled a new corporate identity to mark its 80th anniversary. The previous logo was introduced in the late 80s. Its colour scheme is carried over to the predecessor, but other than that it has been completely redesigned. The company says its new logo is characterised by "roundness, lightness and fluidity" and that its is "riding a wave of modernity and innovation". Euro Florist is a European flower delivery organisation that has thousands of affiliated florists in much of northwestern Europe. Recently, it has started rolling out a new logo. The new symbol is a bird, that also looks a bit like a flower, which is a good metaphor for a flower delivery company. Representatives say the colourful logo used up until now wasn't very practical, and that the new one has a symbol that can be used without a wordmark. The new look has already been rolled out to Belgium, the Netherlands, Germany and Austria, as well as France where the company is marketed as Téléfleurs. Senseo is a coffee pod system owned by two Dutch companies, appliances producer Philips and the previously Sara Lee-owned coffee maker Douwe Egberts. Recently, Senseo has started rolling out a new visual identity, partly coinciding with the launched of a new coffee maker called Senseo Twist. The awful typography used up until now has been replaced by a swirly wordmark. The generic coffee imagery from the previous packaging is being abandoned in favour of a simple elegant solution where the logo is placed on a colour-coded circle with concentric circles radiating from it. Snus is a moist powdered tobacco product, primarily consumed in Scandinavia. 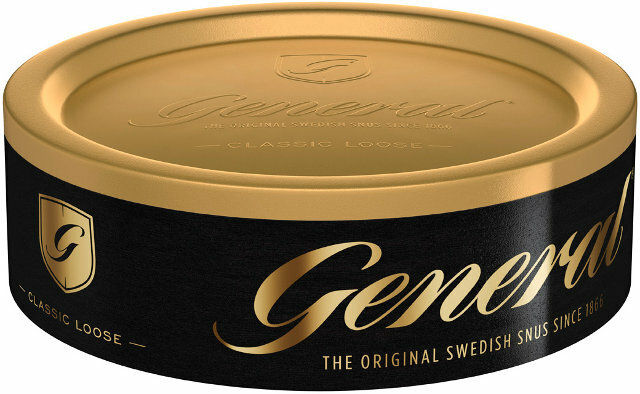 In Sweden, the most sold snus brand is called General and produced after a recipe made up in 1866. The brand now includes 14 different products, and recently they started introducing a new look, created by The Brand Union in Stockholm. The new design creates a more unified look for the products carrying the General brand. Visual cues were taken from the brand's history. Grupo Ormazabal is a Spanish industrial group that has its origins in Ormazabal, a company that manufactures and installs electricity grids. Over time it has expanded into other fields in infrastructure. This week, on September 17, the group was renamed Velatia, following a merger with another company called Ikusi. An objective of the renaming is to give the group an identity that is separate from its subsidiary with the same name. Velatia is included in the logos of the group's subsidiaries as an endorser brand. 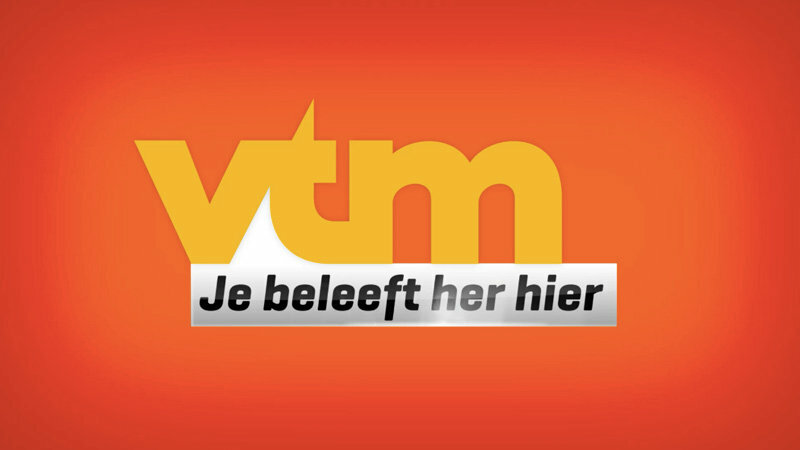 VTM is the largest commercial TV channel in Flanders, the Flemish-speaking part of Belgium. Last month, it introduced a new look to launch the new autumn. Three agencies were involved in creating the new look, Gédéon created the visual elements, jingle producer Brandy came up with the audio branding and Flexus did strategy. The social media savvy identity is launched with the new slogan Je beleeft het hier, meaning "You experience it here". The on-air graphics have been designed to include viewer contributions in the form of text messages and videos. Visually, the graphics are inspired by the angles in VTM's logo. CTC is one of the largest TV networks in Russia, and the most-watched network that isn't owned by the state. This month, on September 15, it launched a new on-screen look along with a completely new logo for the first time in over a decade. The London office of BDA Creative finalised the new look. The colourful on-air package is said to be built around the tagline "the power of light". Yellow, which has previously been the network's signature colour, is still heavily featured, but is complemented with a full range of bright colours. Duke Energy is one of larger electric power companies in the United States. Yesterday, September 17, it unveiled a new corporate identity a few months after completing a merger with Progress Energy, another electricity company. The new symbol looks a bit like the current Progress Energy symbol, but is said to include elements of the Duke Energy logo as well. The new logo will not be rolled out until March and April 2013. At the same time, Progress Energy will adopt the name of its parent company. The Tulsa International Airport is one of the two large airports in Oklahoma, the other being the Will Rogers World Airport in Oklahoma City. Last week, on September 13, the airport launched a new logo with a new website. It was created by local firm Walsh Branding. The new logo is a really nice swoosh in ranging from orange to purple. The pattern created from the swoosh and the colour scheme is used throughout the website and other applications. The typeface is plain Helvetica. Turner Classic Movies launched an high-definition version of its channel in the United Kingdom earlier this month, on September 4. At the same time they introduced a refreshed look across Europe, with idents produced by London motion design agency Flux. The idents were inspired by locations in classic Hollywood movies and filmed in over 30 locations. USA Today is a national newspaper in the United States, and one of the most widely circulated newspapers in the country. Launched in September 1982, it soon established a reputation for providing easily digestible news summaries and "flashy" color printing at a time when newspapers were still mostly black and white. Yesterday, September 13, it unveiled a new look and a complete redesign of the newspaper ahead of its 30th anniversary. USA Today's blue globe logo (also known as a nameplate, flag or masthead when we are talking about newspapers) has been with the newspaper since it first started. It now gets replaced a contemporary minimalist, some would say "hipster", design with a large circle. When used in the nameplate, the logo will include the issue's date. The circle changes color depending on the section and can include different icons and infographics. Ebay is by far the world's largest auction site, founded way back in 1995. Yesterday, September 13, it unveiled a new logo. The familiar logo with its quirky overlapping letters is being replaced by a straightened up version set in tightly kerned Univers Extended. The color scheme is kept, to retain some familiarity. The new logo should reflect what Ebay wants to be today, that is "an online marketplace that offers a cleaner, more contemporary and consistent experience", an Ebay where many items are new and sold through the fixed price "Buy now" option. A-pressen is a major Norwegian media group, mostly concerned with print newspapers. It has historically had ties to the labour movement, and is still part-owned by the Norwegian Confederation of Trade Unions. This week, on September 10, it was announced that it would change its name to Amedia, following a merger with another newspaper concern, Edda Media. The new name takes an A from A-pressen and the word "media" from Edda Media, continuing the legacy of both groups. An Oslo communication agency called Itera Gazette is credited for coming up with the new visual identity. It is said to have been developed to "describe the diversity in the concern's involvements". Futbol and Futbol+ (Футбол, Футбол+) are two Ukrainian TV channels completely dedicated to football (soccer). Last week, on September 8, they introduced new logos for the new football season. The redesign intends to distinguish the two channels from each other by giving them separate on-air graphics. 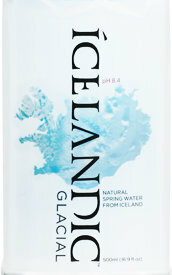 Icelandic Glacial a brand of mineral water tapped at the Ölfus Spring on Iceland and sold to Europe and North America. This month, the brand introduced a new label and redesigned bottle, created by Team One, a communications agency head-quartered in Los Angeles. The new bottle is designed to stand out among other premium water, taking cultural and natural features from Iceland and the spring. Everything Everywhere is mobile telecommunications operator formed in 2010 when France Telecom and Deutsche Telecom merged their UK mobile businesses, that had until then operated under the brands Orange and T-Mobile. Today, September 11, it announced that it would launch a new brand called EE for its upcoming 4G network. EE brand identity was developed by Wolff Olins, who were also involved in the launch of Orange back in the 90s. Visually, the identity is dominated by dots. The twos Es are made up of tiny dots, sitting on top of two circles (or larger dots). An entire typeface family of dotted letters, called EE Nobblee, has been created. Much of the communication materials also feature a grid of dots. The colour scheme is dominated by yellow and teal. It appears the network brands Orange and T-Mobile will survive for now, existing "alongside" the new EE network. However, it is already clear that the 720 Orange and T-Mobile stores will be rebranded as EE stores. Eram is a French shoe store chain, founded in 1927 with about 1700 stores around the country. Recently, it introduced a new logo on its website. Eram's logo was last changed in 2006, when Saguez & Partners added an accent mark above the E and established sunny yellow as the signature colour. That colour scheme is maintained with the new look. The E is now in a separate typeface, further highlighting it and allowing it to possibly be used separately. Conax is a Norwegian company that maintains a conditional access system of the same name that is used by television distributors around the world. Last week, at the International Broadcasting Convention in Amsterdam, it unveiled a new corporate identity. At the center of the new identity is a "sculpture" that somewhat resembles an X onto which different "scrambled" images are projected. The American cable company Cablevision uses the brand name Optimum for many of its services. Last week, on September 6, Optimum unveiled a simple new logo. The new corporate identity system is designed by New York agency Collins and is launched with an ad campaign created by Mother NY. The ACFCI (short for Assemblée des chambres françaises de commerce et d'industrie) is the national organisation for French chambers of commerce and industry (Chambres de Commerce et d'Industrie), known as CCIs. Last week, it launched a new corporate identity, intended to unify the national organisation and its member. Until now, the local CCIs have all used different logos. It is hoped that they will now adopt standardized logos that use the same symbol and typeface. At the same time, the ACFCI gives up its cumbersome acronym to become CCI France. The new symbol represents "strong cohesion and common desire". It combines the three initials into a circular symbol. The London Olympics took place during the first half of August, and most companies wisely avoided competing with this worldwide event for attention. Still, there were a few companies that wanted to rebrand in early August. After the Olympics, we saw the national airline of Fiji go back to its roots, a high profile museum redesign in the Netherlands, and, of course, Microsoft changing its logo for the first time in 25 years. Russkiy Illusion (Русский иллюзион in Russian) is a Russian thematic television channel dedicated to classic and contemporary Russian cinema. This week, reportedly on September 1, it launched a new look with a new look. The on-air graphics and idents celebrate Russian cinema and culture and the "warm and good" movies that are shown on the channel. The graphics also feature ornaments from traditional Russian folk art, and one of those ornaments made it into the logo. NT1 is a French national TV channel, one of seven new channels launched in March 2005 as France introduced its new digital network. Starting out as a general entertainment channel, it now targets a younger audience and is owned by the country's largest broadcaster, TF1. Yesterday, September 3, it launched a new look and a completely new logo. French trade media are reporting that the new look was conceived by a French agency called Naked. The new logo is an edgy sphere. Although the main version (seen above) is yellow, it also comes in other colours. The El Dorado International Airport in Bogotá is the largest airport in Colombia. In late August, the company that manages the airport unveiled a new airport logo. Colombian media are reporting that it was created by Vladimir Flórez, a.k.a. Vladdo. Although known in Colombia as a cartoonist and satirist, he has a background in graphic design. The logo has caused much discussion, both in the form of serious critique from fellow designers and less serious internet ridicule, including a dedicated Tumblr page. Annas is Sweden's leading producer of gingerbread cookies. Founded as a small bakery in 1929 by two sisters - one of whom was named Anna - it now exports gingerbead cookies around the world. Since 2008 it is owned by the Belgian bakery group Lotus Bakeries. Recently, Annas launched a new look on the domestic Swedish market. Gingerbread cookies are a traditional treat associated with Christmas, and the new packaging emphasizes tradition with slightly darker colours and retro typography and decorations. The modern Annas logo clearly didn't fit into the new proposition and has been replaced by a more restrained wordmark and a portrait of Anna. Mikhailov and Partners (Михайлов и Партнеры in Russian) is a Russian communication consultancy. Last week, on August 30, it launched a new corporate identity, created by the consultancy VMKR. This is another take on the flexible identities that are popular at the moment. VMKR's solution takes five colours (yellow, orange, pale blue, purple and coral) that can be blended and re-arranged into different objects inside a hexagon. At the moment, there are six such images that should convey "wisdom, strength, success, reliability, conviction, and commitment to development and growth". The bright colours also appear in other visual devices and are contrasted with greyscale imagery.